The Velveteen Band is an eclectic musical side show which delivers a wonderland dreamscape, set to capture the imagination and rock you to the core. 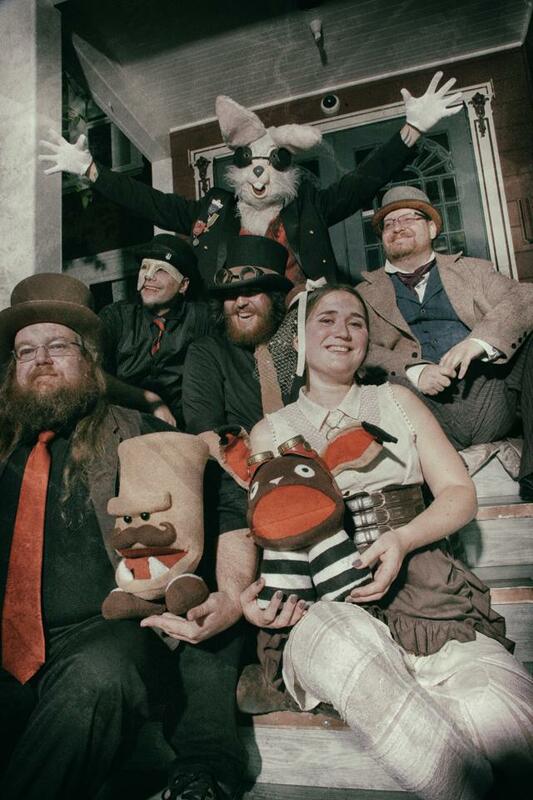 The theatrical rock ensemble features puppets on vocals, a deranged mad scientist, and is led by a six foot trumpet playing rabbit named the Baron Von Velveteen. For fans of Gogol Bordello, Aquabats, Danny Elfman, Weird Al Yankovic, They Might be Giants, and the Muppets.